our awesome rental cars in just 5 Minutes! Our Kiosk Solution increases inbound traffic, offers on-site mobility services to existing tenants and fills up parking garage vacancies to increase utilization of space. If you are interested in installing our car rental solution on your property, feel free to contact us. Our vehicles & awesome staff are waiting for you. 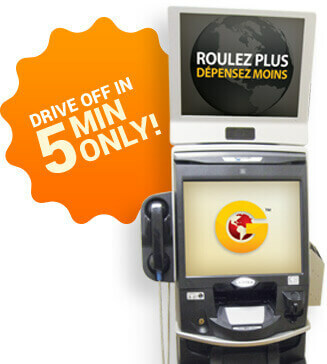 A first in Canada – Globe Kiosk enhances your property by providing on-site car rental solution. With a 2 feet X 2 feet footprint, easy plug & play – we can get this up and running very quickly. We would be happy to discuss having this car rental solution on your premises.